Modern dentistry has done wonders in the area of missing teeth, and dentists believe that everybody should have both the confidence that comes with a great looking smile, as well as the functionality provided by a strong, full set of teeth. Perhaps you have had an accident in which a front tooth was lost. In this case it can be a blemish on your appearance, and impede your ability to bite and enjoy food. Teeth that are less visible (such as molars) may not affect your appearance, but their absence will still seriously affect how you chew. In either of these situations there are conventional options such as a bridge or even a partial denture. And, though you will have to meet with your dentist to determine which option is best for you, the strongest, most permanent treatment for missing teeth has proven to be dental implants. 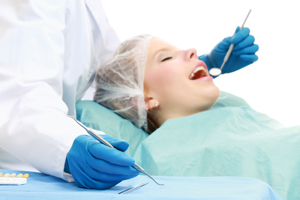 A dental implant is basically an entire replacement tooth, right down to the root. This replacement ‘root’ is actually a titanium implant that is anchored in place. After this portion of the procedure, patients occasionally experience temporary pain (which can be treated with pain killers), but many have zero to very mild sensitivity. Then, usually at a second appointment, a porcelain dental crown is securely bonded over the top of the implant. You deserve the best that dentistry can offer, so don’t neglect your own well being any longer… please contact us for a consultation if you think you may be a candidate for dental implants.